Love when happy customers send pictures of their invitations that they printed! These were printed on shimmer paper with gold envelopes. 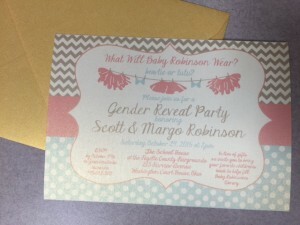 Thank you for sharing and I am so glad you love your custom designed Gender Reveal Party invitation.